When vacationing at the Walt Disney World Resort many families are looking for the "all-inclusive" experience that the Disney Dining Plans offer. By having your meals pre-paid you can relax during your vacation and not spend time worrying about the cost of the meals. It is important to recognize that although there are over 100 different dining locations where you can use the Disney Dining Plan, not all of them provide a good value. It only makes sense to redeem your Disney Dining Plan credits at locations that maximize the enjoyment for your family and get the most for your dollar. This guide will help provide dining suggestions to help you meet both of these goals. One of your goals during your Disney World Vacation should be to enjoy a wide variety of experiences, especially ones that you cannot achieve in your home town. At Disney World this would include Character Dining, themed restaurants, and enjoying different cuisines. There are a number of choices in each of these categories for your family to choose from. Fortunately almost all Disney Restaurants will have menu items that will please even the picky and/or unadventurous eaters. Chef Mickey's - This fun buffet at Disney's Contemporary Resort is where you can get a chance to interact with Mickey Mouse and his friends! At $40.46+tax for adult buffet it is also a great use of the DDP. Princess Storybook Character Dining At Akershus Royal Banquet Hall - This under appreciated Character Dining Experience in the Norway Pavilion of Epcot is a great way to meet all of the Disney Princesses (except Cinderella) and get your picture taken with each. Also a great value with Adult meals costing $46.85. Crystal Palace - Here is your chance to eat within the Magic Kingdom and enjoy a marvelous buffet and see Winnie The Pooh and the characters from the Hundred Acre Wood. Adult meal costs $40.99. There are a few themed restaurants that are great to check out for the delicious food and the wonderfully dining experience that the entire family will enjoy. 'Ohana - This is a great restaurant to take the entire family. The Polynesian Resort is a great place to visit and you are made to feel at home in this friendly atmosphere. There is entertainment for the kids and the family style dining insures quick service and plenty of great tasting food. A must do for many families on each Disney World Vacation. Coral Reef - This unique Epcot restaurant actually shares a wall with the giant tank from the Living Seas attraction. This allows you to watch a vast array of sea life swim by while you dine. The atmosphere is a little more quiet and upscale, but the views are amazing. The restaurant has a full menu, but specializes in seafood and steak. Cap off your meal with The Chocolate Wave, which is one of our favorite Disney World desserts. Remember desserts are included in the Disney Dining Plan! There are lots of different choices to experience cuisine that you may not always get in your home town. Here is your chance to try it. If you have any allergies or food restriction concerns, Disney is the best anywhere at making accommodations without a hassle. Boma - This buffet at Disney's Animal Kingdom allows you to enjoy the flavors of Africa. There is a wide variety of options and kid friendly choices as well. This restaurant has some of the most incredible soups to try on the buffet. Don't forget to try the famous Zebra Domes on the dessert bar. Adult meals cost $39.40. Biergarten - This fun buffet in Epcot Germany fits the bill for Themed Restaurant and Great Cuisine. Enjoy a vast German Buffet and be entertained with traditional German Music while you eat. There is even a chance to get up and polka if you are so inclined. Always a family favorite! Adult meals cost $39.40. Chefs de France - Be transported to Paris, France to enjoy a great meal in Epcot France. All of the waitstaff is from France and are the food is excellent. The restaurant has a little more upscale feel to it and you order off of a menu here. Restaurant Marrakesh - If you are feeling exotic you can try visiting Restaurant Marrakesh in Epcot Morocco. The meal includes authentic Moroccan music and a belly dancer! This is your chance to try Moroccan cuisine in a fun atmosphere. Take full advantage of the Disney Dining Plan during your Walt Disney World Resort Vacation. We would highly recommend trying restaurants in each of the categories for a great vacation. By following this advice you will not only experience some great restaurants with great food and entertainment, but you will also be getting the most benefit out of your Disney Dining Plan Option purchase. 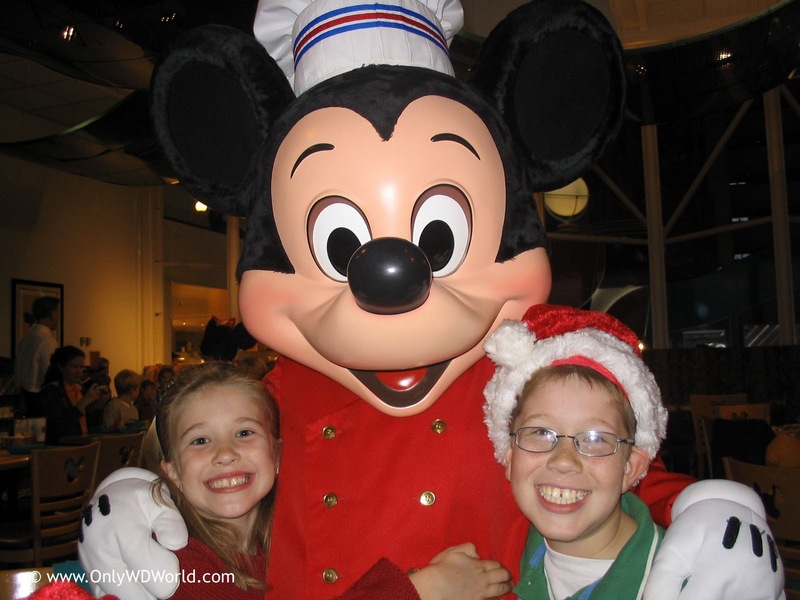 If you would like personalized assistance in selecting restaurants for you family and making Dining Reservations contact Only WDWorld Travel (phone: 336-899-7943 or email: info@OnlyWDWorldTravel.com ). This advice and service is FREE for all customers who book a Disney World Vacation. 0 comments to "Disney Dining Plan Guide For Families With Young Children"